Health Care Directives; When is it a Critical Illness vs. End of Life Care? Real and Present Patient Safety Risk! Before we tell you what we do, we need to inform you of a Nationwide Patient Safety concern you may not be aware of. The risk is real and represents a clear and present danger to you or your loved one! The issue is often referred to as end of life (EOL) care and how you would want to be treated at end of life? Now, advance directives, or advance care planning documents, most commonly living wills, do not resuscitate orders (DNR), and documents like POLST (physician orders for life-sustaining treatment) are tools utilized for advance care and EOL planning. Until recently they have not appeared to be a patient safety risk. These documents are well meaning and intended; however, they have in fact led to unintended consequences as reported in the New York Times on multiple occasions. These documents are often created in legal jargon and then interpreted by health care professionals who have had no or very little training in what they are? How they should be interpreted? Who is allowed to interpret them? More importantly, when they are to be followed? May someday be a requirement at some stage in life. Quite honestly, we at the Institute on HealthCare Directives fully support and promote their recommendation and utilization. We however want to make them safer and better for you! To bring us up to current speed, in a proposed regulation released July 8, 2015, CMS also known as Medicare, introduced two new billing codes for advance care planning provided to Medicare beneficiaries. In January of 2016, with CMS now reimbursing medical professionals for EOL counseling, we can anticipate advance directives to be an increasingly critical part of medical decision-making. Research, known as the TRIAD (The Realistic Interpretation of Advance Directives) series, indicates that practitioners often make assumptions about the content of such documents without actually reading them. Interestingly, somehow, the medical profession has no requirements to assure competency and understanding of such documents. Additionally, the term medical professional is getting diluted to professions other than the physician. Here is a very timely example from the Boston Herald of a man who died because of poor medical system processes and healthcare provider understanding. More recently, the Joint Commission has publicly stated that “Patient safety and end-of-life care must not be, and are not, mutually exclusive. End-of-life issues are crucial for maintaining patient safety, which is a central aim of quality. “ We now know that this area represents a nationwide patient safety issue”. These same concerns were featured in a Wall Street Journal article by Laura Landro – How to Make Your Wishes for End of Life Care Clear. So let’s see how this plays out with the example below. Joe is a 59-year-old male who presents to your local emergency room with chest pain. He is pale and sweaty. The emergency medicine physician reviews his EKG, which shows Joe is actively having a heart attack. Joe’s heart becomes irritable and erratic, and he goes into full-blown cardiac arrest. Saving him will require shocking his heart. Joe has a living will, which the nurse pulls from his records. The nurse then shouts out at the Doctor……Wait!! He has a living will? Does Joe get the “simple and highly effective treatment” to save his life? Or does Joe not get treated and die! What treatment is right for Joe? More importantly, what did Joe agree too when he was signing his living will? These are questions that had never been asked or answered through research prior to the TRIAD (The Realistic Interpretation of Advance Directives) studies (Mirarchi et al. ), which showed widespread misunderstanding among clinicians about advance directives & POLST documents. Yet they are publicly advocated for and their use has been increasing, as there are approximately 80 million living wills in existence today. You may think you are not affected by this risk? However, this issue affects all populations, especially the elderly, those with chronic illness such as cancer or heart disease, and for sure has a potential safety impact on those who are critically ill seeking care. This risk impacts the entire care continuum from pre-hospital, Emergency Departments and inpatients to the various post-discharge settings. We have made these documents and orders so available to travel with patients or be retrieved when needed, but have not adequately researched their impact on safety, your safety!! So what should you do know? Your rights as a patient are being misguided or misrepresented. For example the Stanford Letter Project. When you review this, they seem like simple statements but they are actually very powerful statements that are at risk for medical provider understandings and allow providers to impact their own beliefs and preferences to fit their needs and not yours. There are many efforts that are genuine and well meaning such as these excellent and informative National Healthcare Decisions Day videos. They do a fantastic job at raising awareness, compelling you to prepare documents and recommend the process to others. We strongly encourage you to review these videos but to be aware, that there are patient safety risks that are not described in these videos that you must become aware of to ensure your safety! To make you fully aware of the safety concerns we encourage you to review This MedPageToday Special Feature Time to Get It Right at End of Life which has become the reality and that reality is confusion! What people often agree to is the presumption of full and aggressive treatment up until a point it is felt to be terminal despite the best efforts being provided. For example the Tulft drone video. Exacerbating this patient safety risk further, the Institute of Medicine with their ground breaking report described about $170 billon is spent on end-of-life care, which is care specifically during the last year of a patient’s life. That number is projected to increase to over $350 billion in the next five years. As a result, healthcare systems are increasingly being designed with treatment costs in mind, in order to find ways to spend less money on individual patients and contain overall healthcare costs. 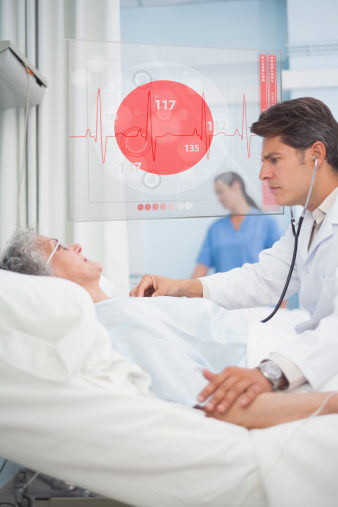 Healthcare payers are becoming more involved and advocate for the conversation surrounding end-of-life care as they look for ways to reduce cost. They are even incentivizing and requiring advance directive and POLST form completion. The research published supports this is a very effective way to reduce the utilization of resources and spending. There is also a lot of information in circulation from right to die organizations on the subject who are not fully aware of the safety issues. What is being presented is similar to a negative campaign and lacks the balanced discussion to allow for a patient’s informed decision making. All of this presents an opportunity for patients to make misinformed decisions related to end-of-life care and resuscitation. This is a medical error that has huge ramifications as it relates to patient care and safety. So now as we get to the current and proposed state of affairs, as Medicare is now paying providers for end-of-life counseling which began January 1, 2016. Medicare will now even pay for a Tele-Medicine evaluation for end of life care counseling. As such the playing field now requires balance. This presents an opportunity to create a safeguard that assists patients with making informed selections for resuscitation, in clear language that is easily understood by both patients and medical professionals. This would be a safeguard to ensure patients rights, decision-making and safety. So this is why we created the Institute on HealthCare Directives. We bring an evidence based approach and research to facilitate the creation of immediately retrievable Resuscitation Safety Statements to ensure your actual wishes. We call this process MIDEO (My Informed Decision of Video). Through MIDEO we bring your voice and wishes back to the scenario so no one can misinterpret your true rights wishes and desires. Bringing the patient’s voice, “Your Voice”, to medical situations regarding your informed decision-making to ensure Your Safety or the Safety of Someone You Love!